Food and feed quality are crucial to human and animal health. Quality can be defined as sufficiency of appropriate minerals, vitamins and fats, etc. but it also includes the absence of toxins, whether man-made or from other sources. Surprisingly, almost no data exist in the scientific literature on herbicide residues in herbicide tolerant genetically modified (GM) plants, even after nearly 20 years on the market. In research recently published by our laboratory (Bøhn et al. 2014) we collected soybean samples grown under three typical agricultural conditions: organic, GM, and conventional (but non-GM). The GM soybeans were resistant to the herbicide Roundup, whose active ingredient is glyphosate. We tested these samples for nutrients and other compounds as well as relevant pesticides, including glyphosate and its principal breakdown product, Aminomethylphosponic acid (AMPA). All of the individual samples of GM-soy contained residues of both glyphosate and AMPA, on average 9.0 mg/kg. This amount is greater than is typical for many vitamins. In contrast, no sample from the conventional or the organic soybeans showed residues of these chemicals (Fig. 1). “there is a theoretical possibility that also the level of residues of the herbicide and its metabolites may have increased” (Kleter et al. 2011) is now shown to be actually happening. Monsanto (manufacturer of glyphosate) has claimed that residues of glyphosate in GM soy are lower than in conventional soybeans, where glyphosate residues have been measured up to 16-17 mg/kg (Monsanto 1999). These residues, found in non-GM plants, likely must have been due to the practice of spraying before harvest (for desiccation). Another claim of Monsanto’s has been that residue levels of up to 5.6 mg/kg in GM-soy represent “…extreme levels, and far higher than those typically found” (Monsanto 1999). FIGURE 1. 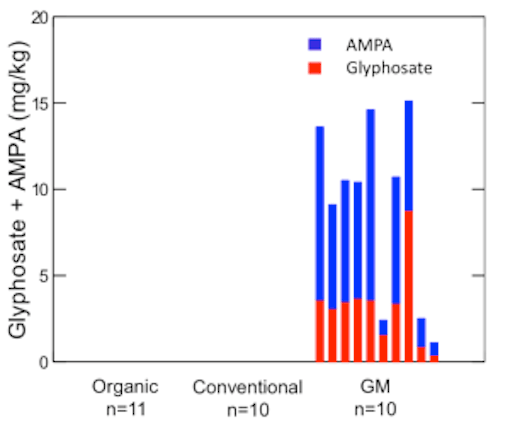 RESIDUES OF GLYPHOSATE AND AMPA IN INDIVIDUAL SOYBEAN SAMPLES (N=31). FOR ORGANIC AND CONVENTIONAL SOYBEANS, GLYPHOSATE RESIDUES WERE BELOW THE DETECTION LIMIT. Seven out of the 10 GM-soy samples we tested, however, surpassed this “extreme level” (of glyphosate + AMPA), indicating a trend towards higher residue levels. The increasing use of glyphosate on US Roundup Ready soybeans has been documented (Benbrook 2012). The explanation for this increase is the appearance of glyphosate-tolerant weeds (Shaner et al. 2012) to which farmers are responding with increased doses and more applications. Globally, glyphosate-tolerant GM soy is the number one GM crop plant and glyphosate is the most widely used herbicide, with a global production of 620 000 tons in 2008 (Pollak 2011). The world soybean production in 2011 was 251.5 million metric tons, with the United States (33%), Brazil (29%), Argentina (19%), China (5%) and India (4%) as the main producing countries (American Soybean Association 2013). In 2011-2012, soybeans were planted on about 30 million hectares in the USA, with Roundup Ready GM soy contributing 93-94 % of the production (USDA 2013). Globally, Roundup Ready GM soybeans contributed to 75 % of the production in 2011 (James 2012). The legally acceptable level of glyphosate contamination in food and feed, i.e. the maximum residue level (MRL) has been increased by authorities in countries where Roundup-Ready GM crops are produced, or where such commodities are imported. In Brazil, the MRL in soybean was increased from 0.2 mg/kg to 10 mg/kg in 2004: a 50-fold increase, but only for GM-soy. The MRL for glyphosate in soybeans has been increased also in the US and Europe. In Europe, it was raised from 0.1 mg/kg to 20 mg/kg (a 200-fold increase) in 1999, and the same MRL of 20 mg/kg was adopted by the US. In all of these cases, MRL values appear to have been adjusted, not based on new scientific evidence, but pragmatically in response to actual observed increases in the content of residues in glyphosate-tolerant GM soybeans. Has the toxicity of Roundup been greatly underestimated? When regulatory agencies assess pesticides for safety they invariably test only the claimed active ingredient. Nevertheless, these do not necessarily represent realistic conditions since in practice it is the full, formulated herbicide (there are many Roundup formulations) that is used in the field. Thus, it is relevant to consider, not only the active ingredient, in this case glyphosate and its breakdown product AMPA, but also the other compounds present in the herbicide formulation since these enhance toxicity. For example, formulations of glyphosate commonly contain adjuvants and surfactants to stabilize and facilitate penetration into the plant tissue. Polyoxyethylene amine (POEA) and polyethoxylated tallowamine (POE-15) are common ingredients in Roundup formulations and have been shown to contribute significantly to toxicity (Moore et al. 2012). Our own recent study in the model organism Daphnia magnademonstrated that chronic exposure to glyphosate and a commercial formulation of Roundup resulted in negative effects on several life-history traits, in particular reproductive aberrations like reduced fecundity and increased abortion rate, at environmental concentrations of 0.45-1.35 mg/liter (active ingredient), i.e. below accepted environmental tolerance limits set in the US (0.7 mg/liter) (Cuhra et al. 2013). A reduced body size of juveniles was even observed at an exposure to Roundup at 0.05 mg/liter. This is in sharp contrast to world-wide regulatory assumptions in general, which we have found to be strongly influenced by early industry studies and in the case of aquatic ecotoxicity assessment, to be based on 1978 and 1981 studies presented by Monsanto claiming that glyphosate is virtually non-toxic in D. magna (McAllister & Forbis, 1978; Forbis & Boudreau, 1981). Thus a worrisome outlook for health and the environment can be found in the combination of i) the vast increase in use of glyphosate-based herbicides, in particular due to glyphosate-tolerant GM plants, and ii) new findings of higher toxicity of both glyphosate as an active ingredient (Cuhra et al., 2013) and increased toxicity due to contributions from chemical adjuvants in commercial formulations (Annett et al. 2014). A similar situation can be found for other pesticides. Mesnage et al. (2014) found that 8 out of 9 tested pesticides were more toxic than their declared active principles. This means that the Accepted Daily Intake (ADI) for humans, i.e. what society finds “admissible” regarding pesticide residues may have been set too high, even before potential combinatorial effects of different chemical exposures are taken into account. For glyphosate formulations (Roundup), realistic exposure scenarios in the aquatic environment may harm non-target biodiversity from microorganisms, invertebrates, amphibians and fish, (reviewed in Annett et al. 2014) indicating that the environmental consequences of these agrochemicals need to be re-assessed. Our research also demonstrated that different agricultural practices lead to markedly different end products. Data on other measured compositional characteristics could be used to discriminate statistically all individual soy samples (without exception) into their respective agricultural practice background (Fig. 2). FIGURE 2. DISCRIMINANT ANALYSIS FOR GM, CONVENTIONAL AND ORGANIC SOY SAMPLES BASED ON 35 VARIABLES. DATA WAS STANDARDIZED (MEAN = 0 AND SD = 1). Organic soybeans showed the healthiest nutritional profile with more glucose, fructose, sucrose and maltose, significantly more total protein, zinc and less fiber, compared with both conventional and GM-soy. Organic soybeans contained less total saturated fat and total omega-6 fatty acids than both conventional and GM-soy. Roundup Ready GM-soy accumulates residues of glyphosate and AMPA, and also differs markedly in nutritional composition compared to soybeans from other agricultural practices. Organic soybean samples also showed a more healthy nutritional profile (e.g. higher in protein and lower in saturated fatty acids) than both industrial conventional and GM soybeans. Lack of data on pesticide residues in major crop plants is a serious gap of knowledge with potential consequences for human and animal health. How is the public to trust a risk assessment system that has overlooked the most obvious risk factor for herbicide tolerant GM crops, i.e. high residue levels of herbicides, for nearly 20 years? If it has been due to lack of understanding, it would be bad. If it is, the result of the producer’s power to influence the risk assessment system, it would be worse. , Faculty of Health Sciences, UiT The Arctic University of Norway. American Soy Association, Soystats. 2013. 16-5-2013. Annett, R., Habibi, H. R. and Hontela, A. 2014. Impact of glyphosate and glyphosate-based herbicides on the freshwater environment. – Journal of Applied Toxicology DOI 10.1002/jat.2997. Aumaitre, L. A. 2002. New feeds from genetically modified plants: substantial equivalence, nutritional equivalence and safety for animals and animal products. – Productions Animales 15: 97-108. Benbrook, C. M. 2012. Impacts of genetically engineered crops on pesticide use in the U.S. – the first sixteen years. – Environmental Science Europe 24:24. Binimelis, R., Pengue, W. and Monterroso, I. 2009. “Transgenic treadmill”: Responses to the emergence and spread of glyphosate-resistant johnsongrass in Argentina. – Geoforum 40: 623-633. Bøhn, T., Cuhra, M., Traavik, T., Sanden, M., Fagan, J. and Primicerio, R. 2014. Compositional differences in soybeans on the market: Glyphosate accumulates in Roundup Ready GM soybeans. – Food Chemistry 153: 207-215. Cuhra, M., Traavik, T. and Bøhn, T. 2013. Clone- and age-dependent toxicity of a glyphosate commercial formulation and its active ingredient in Daphnia magna. – Ecotoxicology 22: 251-262 (open access). DOI 10.1007/s10646-012-1021-1. Duke, S. O., Rimando, A. M., Pace, P. F., Reddy, K. N. and Smeda, R. J. 2003. Isoflavone, glyphosate, and aminomethylphosphonic acid levels in seeds of glyphosate-treated, glyphosate-resistant soybean. – Journal of Agricultural and Food Chemistry 51: 340-344. EC . Review report for the active substance glyphosate. 6511/VI/99-final, 1-56. 2002. European Commission. Health and Consumer Protection Directorate-General. Harrigan, G. G., Ridley, G., Riordan, S. G., Nemeth, M. A., Sorbet, R., Trujillo, W. A., Breeze, M. L. and Schneider, R. W. 2007. Chemical composition of glyphosate-tolerant soybean 40–3-2 grown in Europe remains equivalent with that of conventional soybean (Glycine max L.). – Journal of Agricultural and Food Chemistry 55: 6160-6168. James, C. Global Status of Commercialized Biotech/GM Crops: 2012. ISAAA Brief No. 44. 2012. ISAAA: Ithaca, NY. Kleter, G. A., Unsworth, J. B. and Harris, C. A. 2011. The impact of altered herbicide residues in transgenic herbicide-resistant crops on standard setting for herbicide residues. – Pest Management Science 67: 1193-1210. Mesnage, R., Defarge, N., Vendômois, J. S. and Seralini, G. E. 2014. Major pesticides are more toxic to human cells than their declared active principles. – BioMed Research Internationalhttp://dx.doi.org/10.1155/2014/179691. Monsanto . Residues in Roundup Ready soya lower than conventional soy.http://www.monsanto.co.uk/news/99/june99/220699_residue.html . 1999. Moore, L. J., Fuentes, L., Rodgers, J. H., Bowerman, W. W., Yarrow, G. K., Chao, W. Y. and Bridges, W. C. 2012. Relative toxicity of the components of the original formulation of Roundup (R) to five North American anurans. – Ecotoxicology and Environmental Safety 78: 128-133. Pollak, P. 2011. Fine chemicals: the industry and the business. – Wiley. 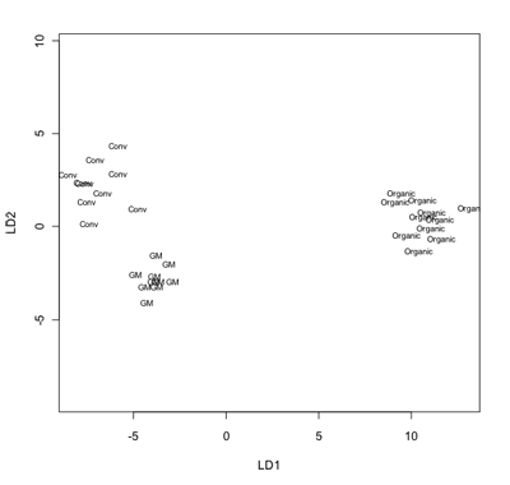 Shaner, D. L., Lindenmeyer, R. B. and Ostlie, M. H. 2012. What have the mechanisms of resistance to glyphosate taught us? – Pest Management Science 68: 3-9. USDA . National Agricultural Statistics Service. 2013. 16-5-2013. This article was originally published by Independent Science News. Alzheimer’s disease, a severe form of dementia, now affects an estimated 5.4 million Americans,1 and is the sixth leading cause of death in the US. According to one shocking projection, Alzheimer’s is predicted to affect 25 percent of American adults in the next 20 years, rivaling the current prevalence of obesity and diabetes. Such predictions are particularly distressing in light of the fact that Alzheimer’s is a disease predicated on lifestyle, especially your diet. Hidden factors such as toxic exposures can also play a distinct role. According to the featured article in the Los Angeles Times,2 researchers have linked DDT exposure to the development of Alzheimer’s disease later on in life. The use of DDT (dichlorodiphenyltrichloroethane) began during the second half of World War II, when it was liberally sprayed to control diseases such as malaria and typhus. Once the war was over, it began being used as an agricultural pesticide. Monsanto was one of more than a dozen companies that manufactured the chemical. In 1962, American biologist wrote the groundbreaking book Silent Spring, in which she warned of the devastating environmental impacts of DDT, suggesting the chemical may also have harmful effects on human health. She rightfully questioned the logic and sanity of using such vast amounts of a chemical without knowing much about its ecological and human health impact. The public outcry that resulted from her book eventually led to DDT being banned for agricultural use in the US in 1972. Fast-forward just over 40 years, and we’re now seeing the effects of that DDT exposure. Interestingly, several studies4, 5, 6, 7, 8, 9 have linked increased DDT and/or DDE levels to diabetes as well. The suggestion that DDT exposure may contribute to diabetes and/or such a devastating disease as Alzheimer’s—decades after exposure—should be a worldwide wake-up call for what the ramifications of glyphosate might be. Glyphosate (Roundup) was approved in 1974 in the US,10 and has been widely and aggressively used since then. (It didn’t gain EU-wide approval until 2002.) As with DDT, we’re now seeing research linking glyphosate exposure to dramatic jumps in disease rates, such as autism for example, as well as food allergies and digestive problems. The difference is that the effects are showing far sooner, and appear more evidently linked than in the case of DDT. Personally, I believe we’re in for a world of hurt in coming decades, as the full effects of glyphosate toxicity become evident. In my view, there’s simply no time to waste when it comes to ending the reckless use of glyphosate. According to Dr. Don Huber, an expert in an area of science that relates to the toxicity of genetically engineered (GE) foods, glyphosate—the active ingredient in Monsanto’s Roundup herbicide—is actually FAR worse than DDT! It’s worth noting that genetically engineered (GE) crops are far more contaminated with glyphosate than conventional crops, courtesy of the fact that they’re engineered to withstand extremely high levels of Roundup without perishing along with the weed. Glyphosate contamination is a major part of the overall hazards of GE foods, as the chemical cannot be washed off—it is incorporated into every cell of the plant. Strange as it may sound, when asked which toxin he would prefer to use if he had to make a choice between two evils, Dr. Huber says he’d actually take DDT over glyphosate! “A lot of these materials can have a very beneficial use. I’m certainly not anti-chemical. But we have to use some common sense. What we have with glyphosate is the most abused chemical we have ever had in the history of man,” he said in a previous interview. As stated by Dr. Huber, we jumped in without the basic understanding of what products like DDT and glyphosate do—beyond their obvious benefits of killing pests—and this was done to support the bottom line of a few large companies, such as Monsanto. Former US Navy staff scientist Dr. Nancy Swanson, Ph.D. has meticulously collected statistics on glyphosate usage and various diseases and conditions, including autism, the results of which are shown in the graphic below. It’s hard to imagine a more perfect match-up between the rise in glyphosate usage and incidence of autism. “The endocrine disrupting properties of glyphosate can lead to reproductive problems: infertility, miscarriage, birth defects, and sexual development. Fetuses, infants and children are especially susceptible because they are continually experiencing growth and hormonal changes. For optimal growth and development, it is crucial that their hormonal system is functioning properly. “Titled the Self-Administered Gerocognitive Examination test, or SAGE, and developed by Douglas Scharre, M.D., of the Division of Cognitive Neurology at Ohio State University’s Wexner Medical Center, it’s a surprisingly simple 12-question pen-and-paper questionnaire. While participants in the study took a supervised test, it can be taken at home. According to Dr. Scharre, this simple test correlates very well to more comprehensive cognitive tests, and is an excellent way to get an early assessment of your cognitive function. If taken at intervals over time, it can also serve as an early warning, if your scores begin to decline. It’s important to realize that Alzheimer’s is a disease driven by poor lifestyle choices and the toxic buildup that so often go along with such choices. I firmly believe that your diet is the most important factor of all. Not only from a nutritional standpoint, but also from the standpoint of chemical exposure. This warning applies not just for the prevention of Alzheimer’s—I believe we are headed toward a widespread health calamity of absolutely enormous proportions, courtesy of the overuse of glyphosate, which researchers now believe may be a primary driver of virtually all chronic disease! In terms of recommended dietary changes, avoiding processed foods is a foundational underpinning of good health, made even more important now that most processed foods contain genetically engineered ingredients (primarily corn, soy, sugar beet, and all the derivatives thereof). Replacing non-vegetable carbohydrates with higher amounts of healthful fats and moderate amounts of high-quality protein is also at the very top of my list for chronic disease prevention. I recently discussed a wide array of prevention strategies for Alzheimer’s in my article “Vitamin E May Offer Benefits for Patients with Alzheimer’s Disease,” so for more details about how you can protect yourself against this deadly disease, please refer to that article. It’s really astounding to consider the health tragedies we may be facing in the coming decades, all in the name of efficiency and scientific progress. My strong recommendation is to do everything in your power to avoid such a fate, and to protect your children from it to the best of your ability. While difficult, it’s not impossible. But you do need to make food a priority in your life, and take proactive measures to promote the growing of organic foods. Besides buying organic, you can also go a step further and grow your own food. I also encourage you to take a firm stance for the labeling of genetically engineered foods, which tend to carry the highest health risks, whether known or presently unknown. Genetic Roulette: The Documented Health Risks of Genetically Engineered Foods. For timely updates, join the Non-GMO Project on Facebook, or follow them on Twitter. Please, do your homework. Together, we have the power to stop the chemical technology industry from destroying our food supply, the future of our children, and the earth as a whole. 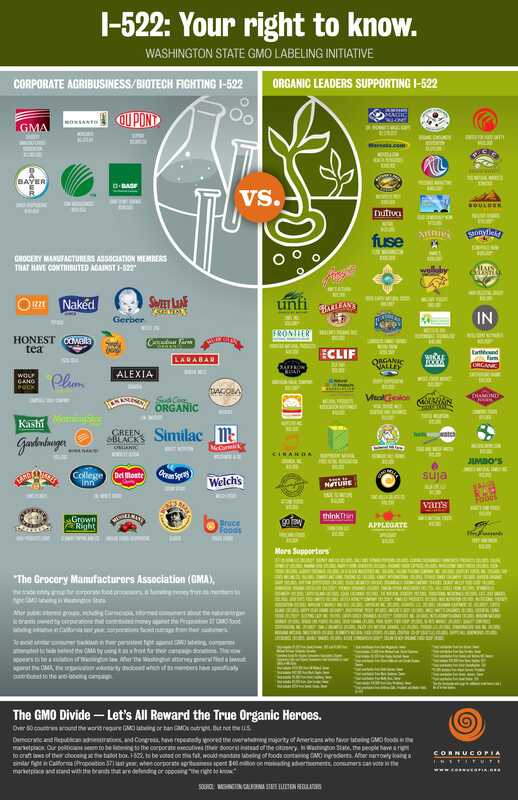 All we need is about five percent of American shoppers to simply stop buying genetically engineered foods, and the food industry would have to reconsider their source of ingredients—regardless of whether the products bear an actual GMO label or not. July 30, 2013 | Thanks to Mercola.com. The true toxicity of glyphosate—the active ingredient in Monsanto’s broad-spectrum herbicide Roundup—is becoming increasingly clear as study after study is published demonstrating its devastating effects. In June, groundbreaking research was published detailing a newfound mechanism of harm for Roundup. This finding might help explain why rats fed Monsanto’s maize developed massive breast tumors in the first-ever lifetime feeding study published last year. Other recently published studies demonstrate glyphosate’s toxicity to cell lines, aquatic life, food animals, and humans. One such study, published in the journal Ecotoxicology,3 found that glyphosate is toxic to water fleas (Daphnia magna) at minuscule levels that are well within the levels expected to be found in the environment. “To test the acute effects of both glyphosate and a commercial formulation of Roundup (hereafter Roundup), we conducted a series of exposure experiments with different clones and age-classes of D. magna…. Roundup showed slightly lower acute toxicity than glyphosate IPA alone… However, in chronic toxicity tests spanning the whole life-cycle, Roundup was more toxic. …Significant reduction of juvenile size was observed even in the lowest test concentrations of 0.05 mg a.i./l, for both glyphosate and Roundup. At 0.45 mg a.i./l, growth, fecundity and abortion rate was affected, but only in animals exposed to Roundup. At 1.35 and 4.05 mg a.i./l of both glyphosate and Roundup, significant negative effects were seen on most tested parameters, including mortality. D. magna was adversely affected by a near 100% abortion rate of eggs and embryonic stages at 1.35 mg a.i./l of Roundup. “Back in Feb. of 2012, the journal Archives of Toxicology5 published a shocking study showing that Roundup is toxic to human DNA even when diluted to concentrations 450-fold lower than used in agricultural applications. This effect could not have been anticipated from the known toxicological effects of glyphosate alone. The likely explanation is that the surfactant polyoxyethyleneamine within Roundup dramatically enhances the absorption of glyphosate into exposed human cells and tissue,” Sayer Ji writes. “Here we demonstrate that all formulations are more toxic than glyphosate, and we separated experimentally three groups of formulations differentially toxic according to their concentrations in ethoxylated adjuvants. Among them, POE-15 clearly appears to be the most toxic principle against human cells, even if others are not excluded. It begins to be active with negative dose-dependent effects on cellular respiration and membrane integrity between 1 and 3ppm, at environmental/occupational doses. We demonstrate in addition that POE-15 induces necrosis when its first micellization process occurs, by contrast to glyphosate which is known to promote endocrine disrupting effects after entering cells. Indeed, miscarriages, fertility problems and abnormal fetal development are all problems that are skyrocketing in Argentina, where many are exposed to massive spraying of herbicides. More than 18 million hectares in Argentina are covered by genetically engineered soy, on which more than 300 million liters of pesticides are sprayed. In the village of Malvinas Argentinas, which is surrounded by soy plantations, the rate of miscarriage is 100 times the national average, courtesy of glyphosate. But even if you don’t live in an agricultural area where you might be exposed to Roundup directly, you’re still getting it through your diet if you’re eating non-organic foods. A report given to MomsAcrossAmerica13 by an employee of De Dell Seed Company (Canada’s only non-GM corn seed company) shows that GM corn contains as much as 13 ppm of glyphosate, compared to zero in non-GM corn. A German study15 published earlier this year looked at glyphosate’s role in the rise of toxic botulism in cattle. This used to be extremely rare, but the incidence has become increasingly common over the past 10-15 years. Normal intestinal microflora is essential for keeping Clostridium botulinum and other pathogens in check, and researchers are now finding that the beneficial gut bacteria in both animals and humans is very sensitive to residual glyphosate levels. This has been discussed previously by bothDr. Don Huber and Dr. Stephanie Seneff. In this study, the researchers explain that certain intestinal bacteria produce bacteriocines that are specifically directed against C. botulinum, as well as other dangerous pathogens. According to the authors, lactic acid producing bacteria that help defend against Clostridium pathogens are destroyed by glyphosate, suggesting that the rise in C. botulinum associated diseases may be due to glyphosate-tainted animal feed. As for its effects on humans, the Samsel – Seneff study published in June suggests that glyphosate may actually be the most important factor in the development of a wide variety of chronic diseases, specifically because your gut bacteria are a key component of glyphosate’s mechanism of harm. Monsanto has steadfastly claimed that Roundup is harmless to animals and humans because the mechanism of action it uses (which allows it to kill weeds), called the shikimate pathway, is absent in all animals. However, the shikimate pathway IS present in bacteria, and that’s the key to understanding how it causes such widespread systemic harm in both humans and animals. The answer, of course, is to avoid processed foods of all kinds, as they’re virtually guaranteed to contain genetically engineered ingredients, and center your diet around whole, organic foods as toxic pesticides are not permitted in organic farming. Supporting GMO labeling is also important if you value your health, and that of your family and friends, in order to be able to make informed shopping decisions.